There are 10 posts in this thread, and it has been viewed 8943 times. Verdict on Strikers 1945 Plus! 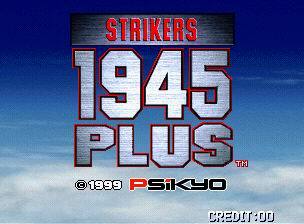 Strikers 1945 Plus is a Maniacal Shump that will literately credit feed your Cab/AES/Etc. 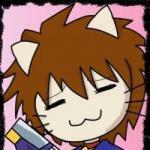 in minutes if you know what your doing, so I wonder how the game fare's well to you guys. 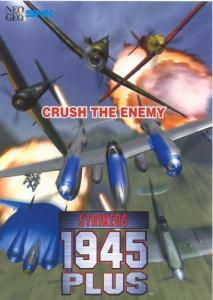 Strikers 1945 Plus is a Vertical Shump made by Psykio who also made the first 2 S-1945 Games and the Gunbird series, although the game feels more like Sonic Wings/Aero Fighers, the playstyle is a bit different though, anyway, there are 6 (7, with a code) planes to choose from with their own unique abilities, also, this game is notorious for its maniacal Difficuly, and the Bosses you fight are always in 2 forms, of course this game is short, but you can play it again (as 2-?) for a much harder experience. 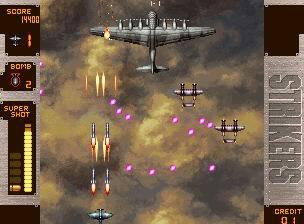 This is one excellent vertical scrolling shooter even though it doesn't have the air-to-air and air-to-ground shooting style I've always preferred. My favourite of the planes is the Flying Pancake. For such a strange shape it is pretty powerful with its twin lasers. The Lightning admittedly has the strongest supershot, but I find its double tail shape awkward. Calling this game Strikers 1945 was a bit of a mistake, because the technology is far too advanced to take place in the year of the end of World War 2. Certainly lasers, ion cannons, photons and such like never were developed in those days. Strikers 2045 would have been more appropriate. Still the title is here and there it stays. Fantastic shooter simple as that I am a big fan of the Strikers games hard to find on MVS and very expensive when it does turn up ( thank god for multicart and emu). Great game any shhoter fan will love it. Excellent game just like all the games in the Strikers series. In the past I didn't fully appreciate how great this game is. I'm a big fan of the Sonic Wings games but I think Strikers is superior. There's a nice variety of ships to choose from and the graphics look very good with varied stages and some impressive looking bosses. Like Will I also normally choose the Flying Pancake for some reason. A very challenging game at times. They were too easy on it. I would give Strikers 1945 + a 7. Disclaimer: I'm not a big shooter player. 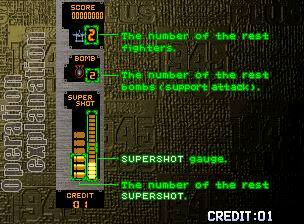 Another odd-ball shump title for the Neo Geo... the enemies range from old WWII era looking tanks and planes, to giant mechas to gigantic aliens. Me and my nephew play this a lot with 2P, very fun indeed. Very challenging. Great graphics. Another good shoot em up game. 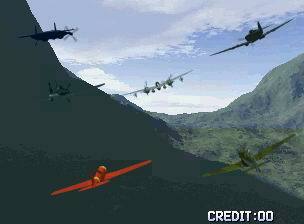 Also a difficult game as well, good selection of planes to choose from. When I first download this on PSN, it was so difficult, hard to dodge alot of bullets on screen. It's worth playing for me since that I'm a shoot em up fan. played '45+ but I am a big fan of '45 I & II on the SAT & PS1. I can only hope it's as good as both of them! It's my understanding that '45+ IS a hybrid of both the originals? Similar, and in reverse to Sonic Wings Special on SAT & PS1 - as SWS is a hybrid of SW2 & 3 on NeoGeo! 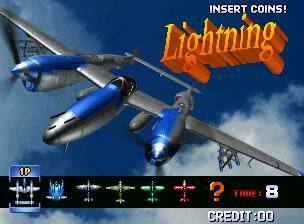 This would have to be my all time favourite vertical shooter on the NEO-GEO, i have it on AES and love it. The first 4 stages come up in random order so i found out last night, and this can sort of make it abit different each time you play, cause it seems the earlier on the stage is done, the easier it is. Im not sure if the randomness has anything to do with what plane you take. Out of the few vertical shmups on the Neo, this one is probably the best. Not as good as the non-neo Strikers 1945 games however. 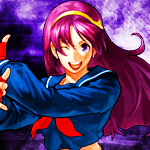 Still, this will probably be the next shmup I get for the ol' MVS cab.